From the moment the kid from Akron, Ohio, shook David Stern’s hand in June 2003, the NBA — as well as professional sports and entertainment media — hasn’t been the same. What’s more impressive than LeBron James’ success in the NBA is that he even came close to matching the enormous expectations assigned to him when he donned that oh-so-famous Sports Illustrated cover at 16. A decade from now, when James holds most every offensive record in the book, and probably has another ring, or two, maybe then we’ll finally understand the magnitude of what we all witnessed. In the moment, trying to comprehend the historicity of LeBron James is as impossible as stopping his locomotive one-man fast breaks. Let’s celebrate the small forward position — a bevy of athletes, champions and playmakers who have strung together some of the greatest NBA feats in the sport’s history. 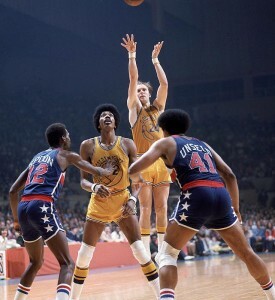 To some, Rick Barry is the guy who douchebags emulate from the foul line in H-O-R-S-E. To Crossover Chronicles contributor John Cannon, Barry was the best player on the NBA’s most underappreciated championship team. I’m leaving some great threes off my list, and no, it doesn’t make me feel good: Elgin Baylor, George Gervin, Jeff Hornacek. 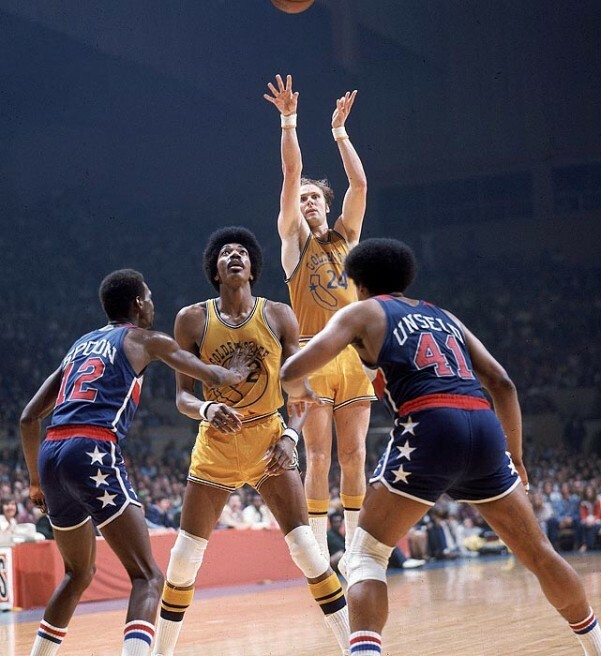 But Barry was one of the greatest scorers we’ve ever had — a relentless, enthusiastic shotmaker who crushed his opponents’ will at the line and always created just enough space to get his shot away. Barry averaged 35.6 and 34.0 points in his second and third seasons, respectively. At 22, his 35.6 ppg campaign is the highest scoring average by anyone not named Wilt Chamberlain or Michael Jordan. Then at 30 he averaged 30.6 points and led the NBA in steals during the 1975 title run. I can’t explain why Scottie Pippen is so extraordinary using only numbers. He’s sixth all-time in steals… behind Michael Jordan. His advanced figures don’t pop off the chart. He’s 17th in Value Over Replacement Player behind Shaq (15th) and Kobe (16th), which is cool, I guess, but what does that mean exactly? Pippen is the league’s preeminent perimeter defender — the NBA’s Deion Sanders. He was an indispensable No. 2 on a six-time NBA champion. Pippen was a starter on the Dream Team, a 20-point scorer many times, and is fourth-among non-big-men all-time in defensive win shares. LOOK AT THIS MAN BALL. 1979-80: 26.9 points, 7.4 rebounds, 4.6 assists, 2.2 steals, 1.8 blocks, 59 wins. His 76ers beat the Celtics but lost in the NBA Finals to the Lakers in six games. 1980-81: 24.6 points, 8.0 rebounds, 4.4 assists, 2.1 steals, 1.8 blocks, 62 wins. The 76ers lose in the East Finals to the Celtics in seven games. 1981-82: 24.4 points, 6.9 rebounds, 3.9 assists, 2.0 steals, 1.7 blocks, 58 wins. The 76ers beat the Celtics but lose in the NBA Finals to the Lakers in six games. 1982-83: 21.4 points, 6.8 rebounds, 3.7 assists, 1.6 steals, 1.8 blocks, 65 wins. The 76ers sweep the Lakers in the NBA Finals (with the help of Moses Malone). I’m not sure when it changed. Honestly, I’m not sure it really matters when. Everything started to change for me when LeBron willed his hampered Miami Heat to a much-needed victory over Bird’s Pacers in the 2012 Eastern Conference semifinals. Miami needed LeBron to carry them, and 40 points, 18 rebounds and nine assists later, the series was knotted at 2-2, and Miami was en route to its first championship of the Big Three era. 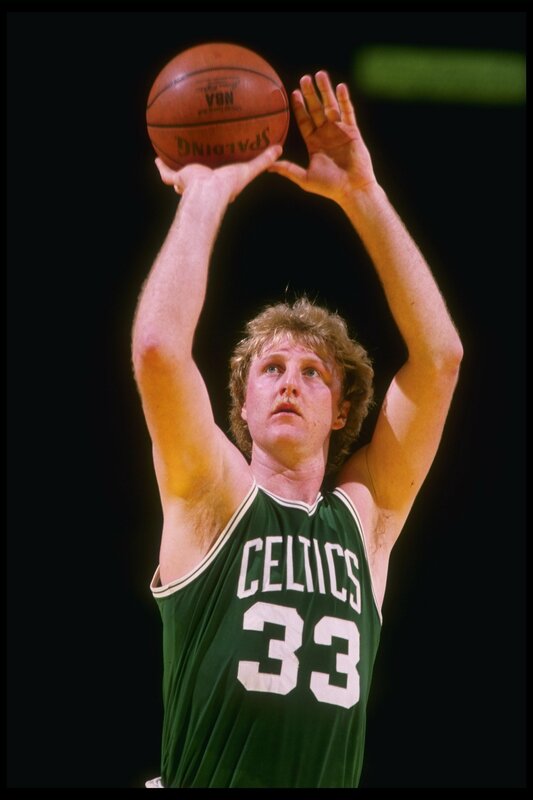 Larry Bird is one of the greatest to ever do it. He’s a top-10 player ever, no matter how you slice it up. One of the greatest shooters ever. A basketball genius. A passing savant. A plus-rebounder and lethal competitor. Without Larry Bird there’s no LeBron James — in the macro, Bird (and Magic Johnson) saved basketball, and in the micro, LeBron is the evolutionary Bird. It’s not anti-Bird to admit LeBron James has surpassed him as the greatest three ever, though. It was basketball destiny. It’s the circle of life. The Doctor is in (this list). Doctor J hasn’t received as much credit as Magic Johnson or Larry Bird for revitalizing the NBA in the early 1980s, but he was certainly a core part of the league’s revival. Before the Sixers or Celtics faced the Lakers in the Finals, they had to beat up each other, and Erving made the Philadelphia-Boston rivalry from the Sixers’ side of the divide. Doctor J also revolutionized the game by taking it above the rim in the 1970s. His behind-the-basket scoop shot against the Lakers in Game 4 of the 1980 NBA Finals is one of the most iconic plays in the history of professional basketball in the United States. Strictly in NBA-centric terms, Erving “lost” five years of his career due to his ABA stints with the Virginia Squires and New York Nets. Yet, in his 11 NBA seasons, Erving never averaged fewer than 16.8 points per game. He averaged at least 20 points (not rounded up; at least 20.0 to be specific) in nine straight seasons. He remained substantially productive to the very end of the line in 1987, his decline slight and not severe. That he scored regularly, long after he ceased to be one of the three or four most explosive players in the sport, shows you how much of a basketball craftsman he was. The toughest decision to make on this list was Havlicek or Elgin Baylor for fourth and third. Havlicek was brilliant in the 1969 NBA Finals, in many ways the signature upset in the Finals even today. “Hondo” averaged 28 points, 11 rebounds, and 4 assists in that series. Baylor averaged only 18, 10 and 4. That’s a strong argument to make Havlicek number three on this list. Another strong argument is that he was one of the steadiest players of all time. He scored at least 1,000 points in 16 consecutive seasons, which comprised his entire career. He won with the great Auerbach-and-Russell teams of the 1960s, but he also won with a reinvented Celtic club in 1974 and 1976, when he was in his mid-30s. Havlicek played in two of the most iconic games in NBA history, Game 7 of the 1965 Eastern Division Finals against the Philadelphia 76ers, and Game 5 of the 1976 NBA Finals against the Phoenix Suns. The topper, of course, is that Havlicek was central to both dramas… and on the winning team thanks to his efforts. Oh, did we mention that Havlicek is the leading scorer in Boston Celtics history? If you wanted to put him third, you would not get an argument. The reality of losing time and time again to the Celtics as a member of the Minneapolis and then Los Angeles Lakers got really old for Elgin Baylor. Moreover, it’s the central reason why Havlicek would top Baylor in many all-time player rankings. Yet, despite knee problems that halted his career, Baylor’s 12 full seasons (not counting injury-shortened 1971 and 1972 campaigns) compare favorably with Havlicek’s 16. Havlicek had better teammates in almost every Laker-Celtic championship series, the conspicuous exception being 1969. Havlicek won that series, but does that one occasion – when Baylor failed to win with Wilt Chamberlain in purple and gold – overwhelm all the other seasons in which Baylor didn’t have Wilt to turn to? Baylor and Jerry West were generally outmanned by the Celtics. That shouldn’t be held against either man. Baylor was RIDICULOUS. He averaged at least 34 points per game in three (yes, three) straight seasons. He averaged at least 24 in each of his first seven seasons and 11 of his 12 full seasons. That he encountered knee problems midway through his career but still found a way to be hugely effective on the court says a lot about his blend of talent and instinct. Baylor’s excellence in a more limited time frame eclipses Havlicek’s extended consistency, but it’s a close call. A dazzling trick-shot artist and a breathtaking three-point shooter once he polished that part of his craft, Larry Bird is thought of by the casual fan as a luminously gifted marksman, the man made famous in the 1993 McDonald’s commercial with Michael Jordan: “Off the expressway, over the river, off the billboard, through the window, off the wall, nothing but net.” Bird really could do amazing things in terms of putting a ball through a net, but that was just a fraction of the complete player he was. Those lucky enough to have seen the Celtics live in the 1980s (on CBS or in person) understand this. Bird was always in the right place at the right time. He was and is a model for players in that he did not allow a devastatingly potent jump shot to take over his game. He had that jumper, but he rarely if ever used it as a crutch. Bird wasn’t the kind of player – they’ve been too numerous to count over the decades – who just wanted to chuck the rock and little else. No, he wanted to win, and he proved that by developing his keen court sense and making letter-perfect passes to teammates in stride and in the right spot on the floor, giving them the best chance of finishing a play. Bird’s passing skills and awareness of court spacing helped Kevin McHale and Robert Parish to be as successful as they were. Imposing and unselfish – you rarely get that combination in a non-point guard superstar. If Bird was imposing and yet unselfish, LeBron is Bird squared, or even cubed. 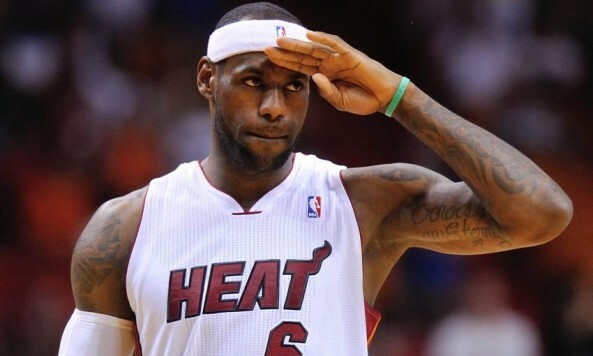 LeBron, the ultimate basketball freak as a specimen, is unlike any player we’ve ever seen. Sure, Magic Johnson and (before him) Oscar Robertson were point guards in much more developed bodies, but they did not play above the rim the way LeBron does. They weren’t the kinds of defenders LeBron is. LeBron is capable of nearly everything a basketball player can do; guarding a polished, tall five in the low post is one of the few exceptions. Other than that, how much else lies outside LeBron’s immense capacities? He’s dragged average-to-merely-decent supporting casts to the NBA Finals. He’s the first full-time NBA starter (this throws out bench player James Jones) to make five straight Finals since the Russell-era Celtics of the 1960s. Even if he had to retire tomorrow due to an injury or sudden illness, he would already rate ahead of Bird – his career has been long enough to justify that placement on this list.